The social event will be a dinner during a cruise by the Seine on Tuesday 23th evening. We will use the Henri IV boat of Canauxrama. Pick up and drop will be at the "Port de l'Arsenal", at the level of the "Grand Bleu" restaurant (50 boulevard de la Bastille 75012 Paris). Rendez vous is at 19h30. 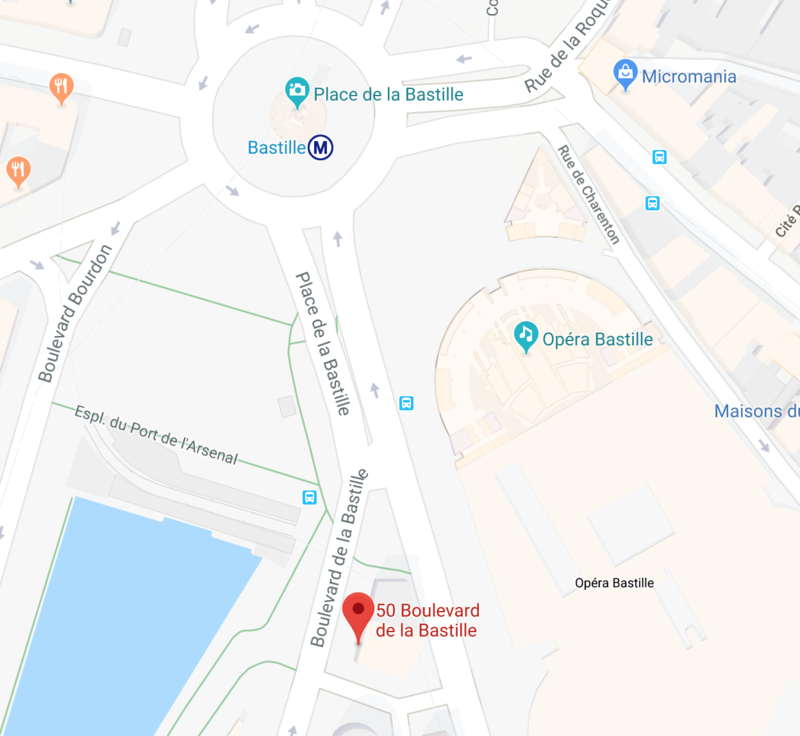 The closest metro station is "Bastille" (line 1). From the worskhop location, take line 14 at the station "Bibliothèque F. Mitterrand" and change at "Gare de Lyon" to take the line 1. The dinner and cruise will be free of charge for registered participants and 55 € for others.